The total stock of outstanding private sector credit (PSC) in Uganda increased by 1.3 per cent to about Shs13.6 trillion in August 2018 from about Shs13.4 trillion in the previous month, according to the Performance of the Economy Report for the month of September 2018. According to the report published by the Ministry of Finance Planning and Economic Development (MFPED), most of the expansion was recorded in the stock of foreign currency denominated credit which grew by 2.7 to Shs5.04 trillion in August 2018 percent from Shs4.9 trillion in July 2018. The stock of shilling denominated credit also expanded by 0.5 percent to Shs8.5 trillion in August 2018 from about Shs8.5 trillion in July 2018. Lending institutions disbursed credit worth about Shs1.045 trillion to the private sector in August 2018 which partly accounts for the growth in the stock of outstanding private sector credit. “There was increased demand for credit by the private sector when compared with the previous month as value of loans applied for increased by 50.9 per cent although only 56.1 per cent of this was approved,” says the report. 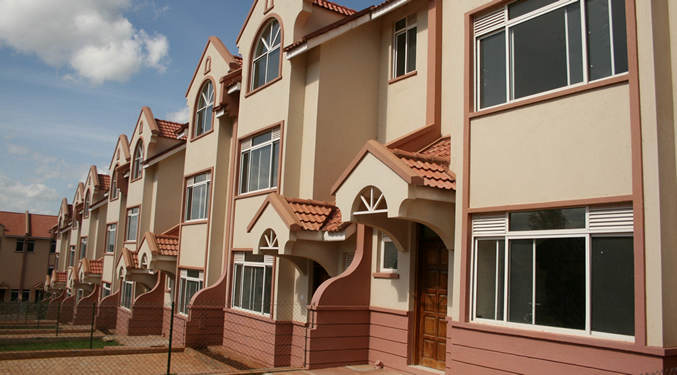 The report says manufacturing, trade and the real estate sectors registered declining credit extension on a monthly basis yet they account for the biggest share of credit extensions. “They are the reason the total credit extension in the month declined,” the report says. In terms of sectoral shares, trade and the real estate sectors hold the biggest share of the stock outstanding private sector credit at 20 per cent each, followed by personal and household loans at 18 percent, Manufacturing, Agriculture follow at 12 per cent each, respectively. Other sectors’ share follows as; Transport and Communication (5 per cent) Electricity and Water (5 per cent), Community, Social & Other Services (4 per cent) and Business Services (4 per cent) while mining and quarrying as well as other services share 0 per cent each. Meanwhile the report says the average interest rate for shilling denominated credit during the month of August 2018 reduced to 19.03 per cent down from 19.17 per cent recorded for the previous month. “Unlike for the shilling denominated credit, average lending rates for foreign currency denominated credit went up from 7.62 per cent in July 2018 to 7.78 per cent in August 2018,” the report reads in part.